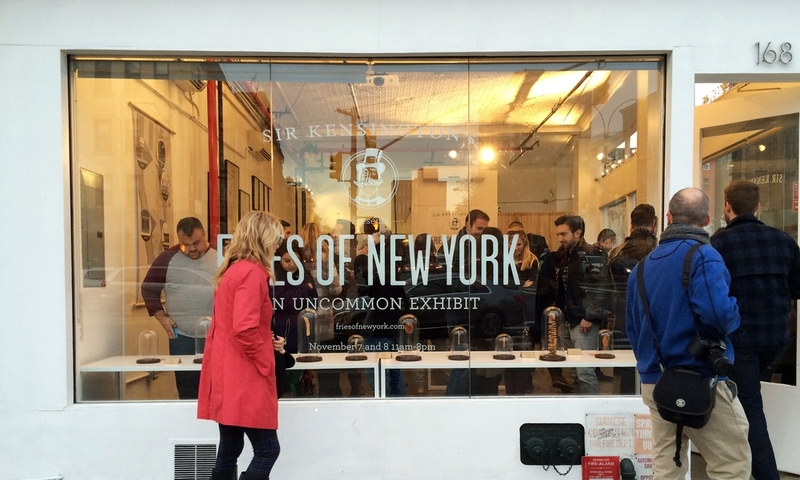 FRIES OF NEW YORK: A museum-quality exhibit of french fries to promote a fast-growing ketchup start-up in New York. How do you get busy New Yorkers to stop and think about a lowly condiment? You create an exhibit featuring one hundred french fries from their favorite restaurants and chefs across the city. Because you can't have fries without ketchup. Our installation featured one hundred unique french fries hand-collected from acclaimed chefs across New York City. Each individual specimen displayed with archival quality for the hungry viewing public to drool over. There were also posters, chef's notes, origin maps and a complete timeline of the shared history between the spud and ketchup.